Andrew Huang has released a wonderful cover of The Weeknd‘s hit song, “Can’t Feel My Face,” that he made from sounds created with dentist equipment, using items such as rubber gloves, dental models, and syringes of a dentist in Perth who obliged him. As we open wide, we might send thoroughly-rinsed birthday greetings to Weston Andrew Valleau Price; he was born on this date in 1870. 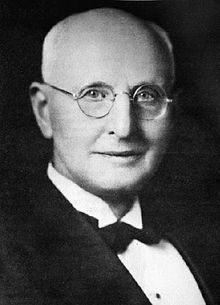 A dentist primarily known for his theories on the relationships among nutrition, dental health, and physical health, he founded the research institute National Dental Association, which became the research section of the American Dental Association.